Since I live in Ohio I don’t rely on the weather to tell me that spring is here, instead, I rely on Sherman and Leroy. Muddy paws and clumps of undercoat falling out are signs that spring is close. When I start seeing some of those signs I start preparing because it can be a lot of work to get them ready for the warm seasons that are ahead of them. 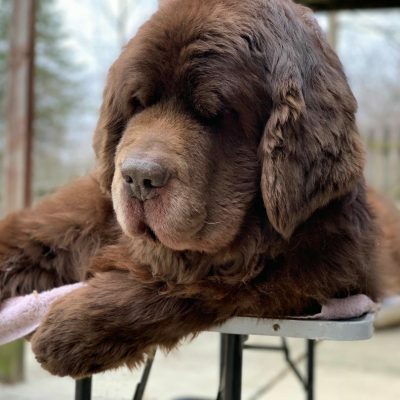 Everybody loves a big fluffy grinch paw but grinch paws attract mud. 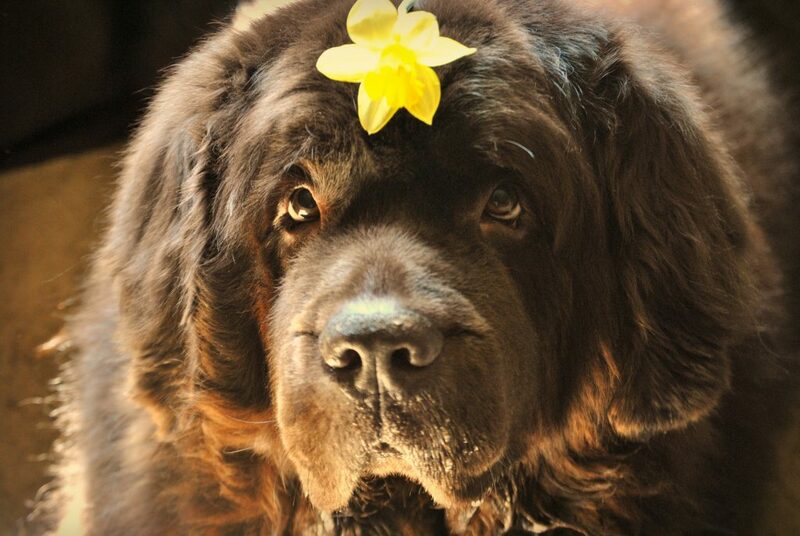 Any extra hair on the bottom part of a Newf attracts mud so I want to trim as much as I can off. This can also help from muddy mats forming under the paw which can cause irritation to the skin and be painful. This is also a great time to check the paw pads to see if the tough winter months did any damage. Dry blow the coat with a blaster. I did this to Leroy yesterday and this is such a good way to blow out loose hair, dust, and dander. 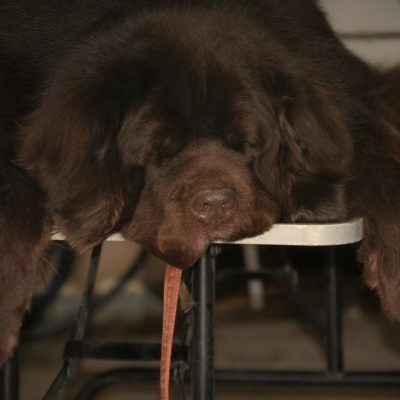 It’s also a great way to get a closer look at the dog’s skin to see if there are any dryness or skin issues going on. In the video above you can see the dust and loose hair blowing off. That’s not water, he’s not wet at all! 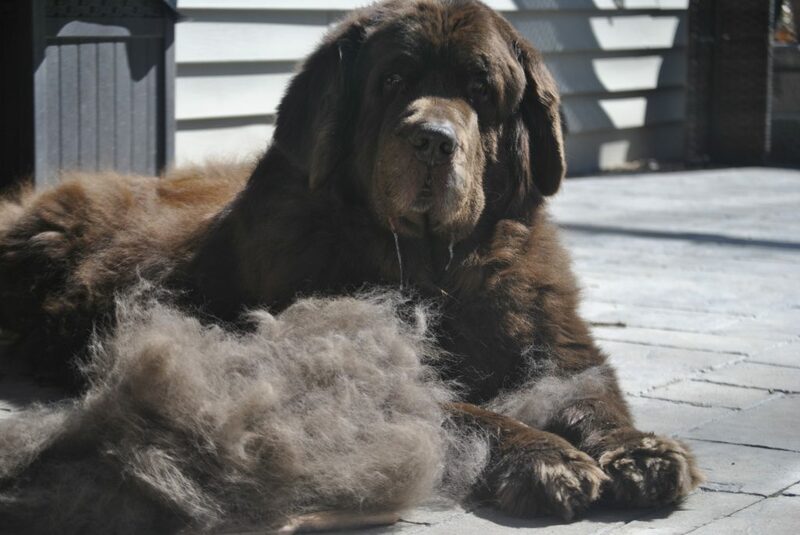 As the weather warms up Sherman and Leroy will start to lose their heavy winter coat. 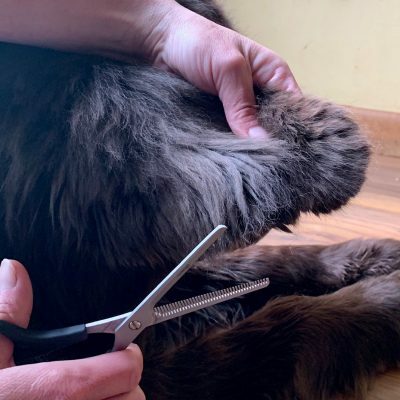 I always like to try to get as much loose undercoat out as I can now using my favorite grooming tools like a rake, comb and a deshedding tool as needed. I don’t try to do this all in one day but I do try to do a little each day. Removing as much of the loose undercoat as possible may also help cut down on hot spots during the summer. Make sure to save some of that loose hair to help the birds build their nest. There have already been reports of ticks in our area so I need to decide which route I’m going to take this year and get it on. Each spring I think that I’m ahead of the game but then I find a tick and I go into panic mode. While Sherman and Leroy will have their own tick preventative I’m also looking into naturally treating the yard for ticks and mosquitoes. While this should be something that’s done more than just at springtime since you’re already checking the coat why not give the ears a quick check. I always like to use ear wipes on ears that aren’t infected and just need to be freshened up. 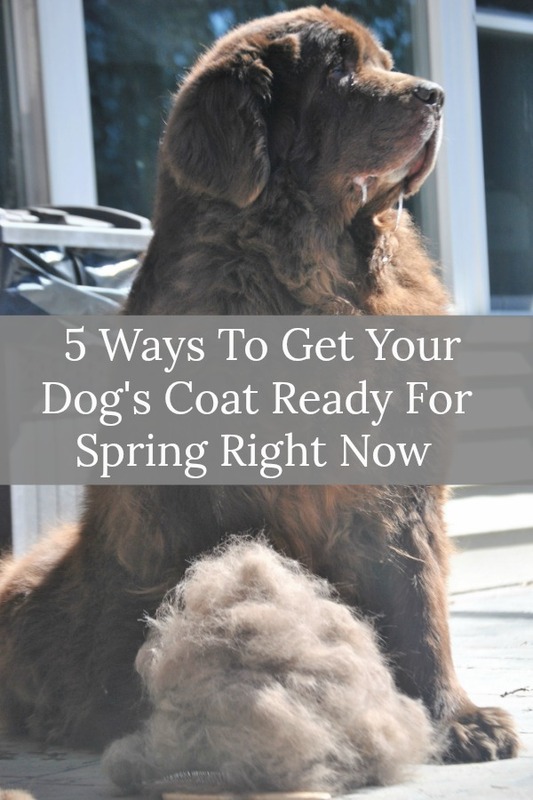 What are some ways that you prepare your dog’s coat for spring? This post contains affiliate links. Thank you for your continued support. Hahaha. We get several extra “dogs” this time of the year.